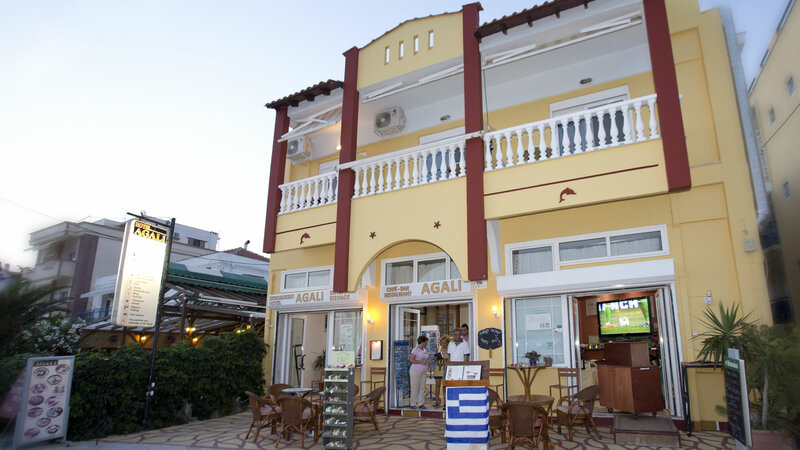 Hotel Agali can be one of your best choices for your stay in Thassos. Built in a unique position in front of the sea in Limenaria overlooking the deep blue. 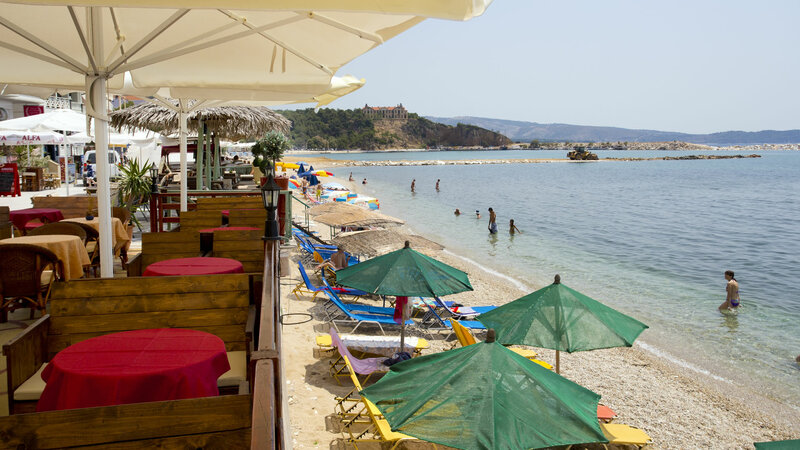 It combines excellent swimming in the sea, since it is only 20 meters from the beach and all the amenities the area since it is located 200m from the village center (cafés, restaurants, shops, pharmacies, etc.).). It is ideal for a four member family the four-bed room with the double bed and the bunk beds. The rooms have a balcony and a table with chairs to sit and enjoy the view. Four of us stayed at Maria's delightful hotel during July. Living in Athens I am more than critical about Greek holiday accommodation, especially in these tough times. So we were all very happy to chance on the Agali .  A small, extremely well run hotel with frequent (daily?) towel and bed sheet changes. 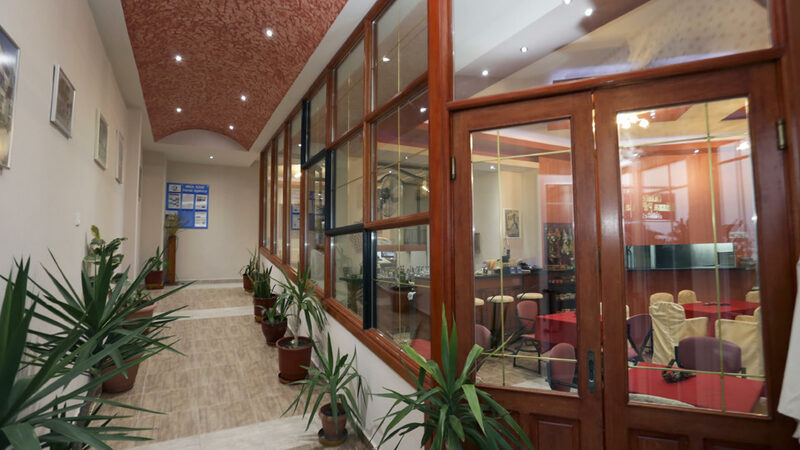 The rooms were clean and very well presented and the inhouse taverna style food was good and wholesome. The staff, daughter Irene and Maria (another!) provided excellent service and together with s/pool and lounges/umbrellas on the beach in front supplied gratis, the whole ambience and experience was well enjoyed by us all, resulting in us extending our stay. The real surprise however was the cost, which perhaps represented the best value for money that we have experienced in 11 years of living in Greece. I don't usually write gushing reviews but Maria really knows how to market her product! In spite of small rooms the accomodation is comfortable. 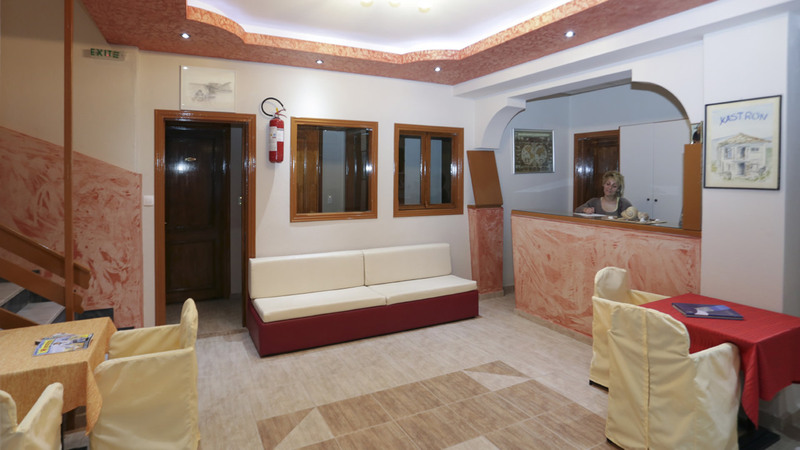 Hotel is reconstructed, we appreaciate very comfortable beds, everything is functional and daily service is excellent. The dinners have been prepared very tasteful (real home cooking taste) and Maria and all staff let us feel very pleased. 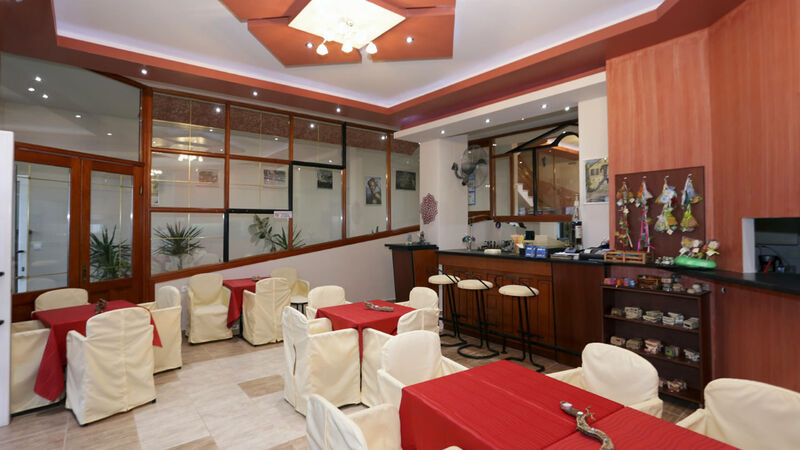 The hotel is located within Limenaria downtown thus good opportunity for walking in streets, shopping or simply sitting at the beach, looking at the sea waves and drinking some great coctail. Agali is really the best one we have ever visited in Greece. 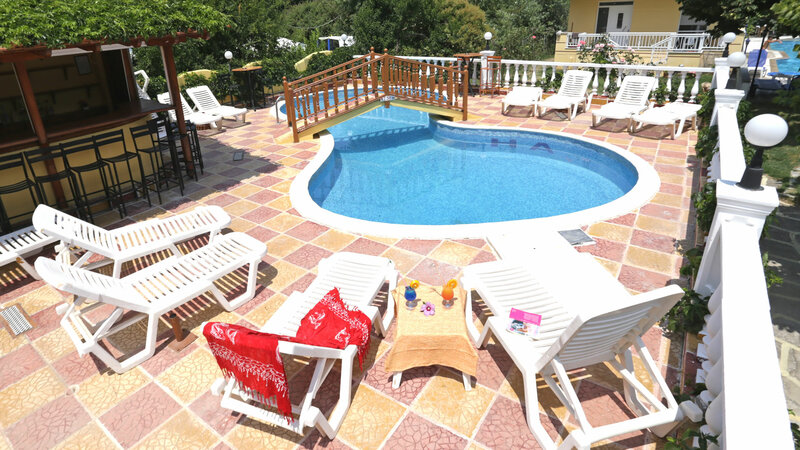 Good choice in Thassos, good base for round trips over the island. What a great family run hotel. The warmth and personal service from Maria and her daughter irena were outstanding. Our accommodation was wonderfully pleasant, breakfast was a daily delight sitting by the sea. We often had lunch and an infrequent evening meal all presented beautifully, cooked very well from fresh and served attentively, we could not have wished for more. Daily housekeeping service was discrete and very well undertaken. Nothing is too much for this beautiful family who provided us with local information and even arranged for us to meet with local contacts to organise a private tour of Thassos. This town is great, no drunken tourists spilling out of bars, nightclubs or discos, yes we are mature in years, we hope your mother is well Maria., thanks for a memorable vacation. The hotel is beautiful, very nice rooms, very clean. Maria and her daughter make you feel like home. Cosy atmosphere, great location esp. seafront rooms. Perfect personal service from owner family. Recently renovated, beds fine, Air Condition and WiFi well working. All in all for us a perfect holiday place, also with kids. The hotel is wonderfully located just in front of the sea, with a great view form the balcony. Actually the location and the hotel itself looks better in real than in photos! The stuff was always very nice and kind and made every effort to make us feel like home. The rooms (we booked an apartment) look very nice, are furnished with taste and cleaned every day. There was hot water every time of the day, the A/C worked just fine, the WiFi was ok. Overall, we had a great stay and we really felt like a part of the family. Will definitely recommend. This year I discovered with pleasure that the hotel was completely renovated. It is the fourth year that I check into this hotel and believe that the changes made ​​have raised this hotel a 3* one. Besides the newly renovated hotel, a positive pleasure discovered this year was the breakfast which was greatly improved. Like every year, Maria, patron of the hotel makes you feel like family. We will definitely be back here with the greatest pleasure like every time.